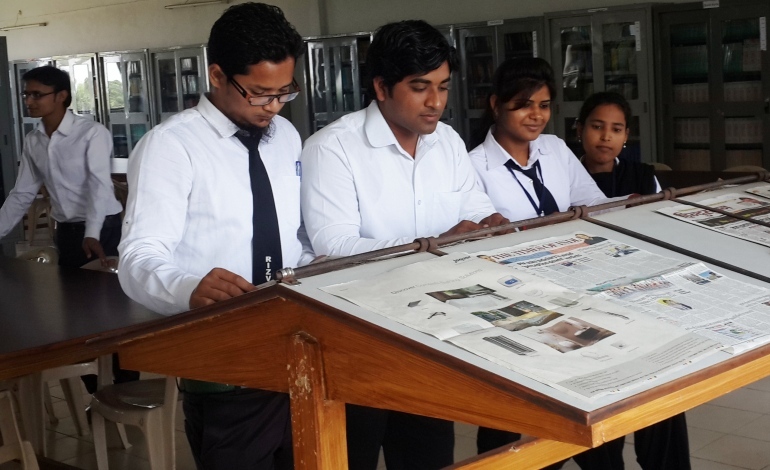 Library in Dr. Rizvi College of Engineering & Management became established into existence along with their foundation. The Library of Dr. Rizvi College of Engineering & Management has set a vision to satisfy the reader community needs. 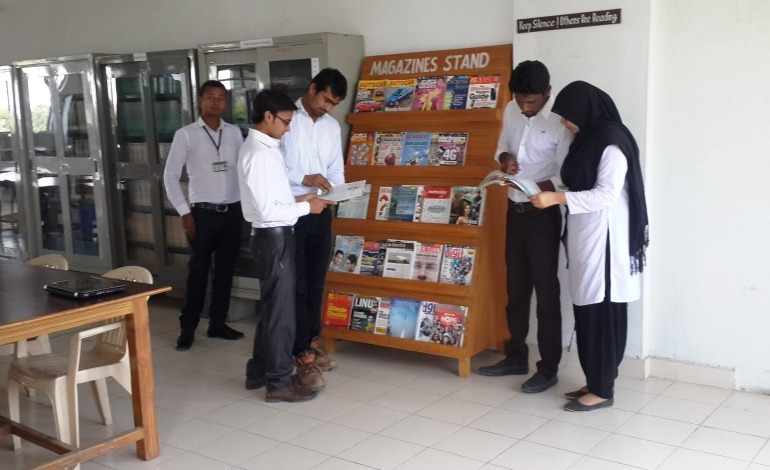 Our spacious library, the seat of knowledge, entertains and evokes enthusiasm among the students with interesting collection of books a variety of journals are also within reach to assimilate and enhance awareness. The Institution is endowed with a fully computerized main library with an area of 2000 Sq.mt, which has a collection of nearly 30,000 books, 2500 Reference Books, 4500 CD ROMs, 55 Floppies, 35 Audio Cassettes besides subscribing to nearly 142 national and international journals and 43 leading magazines. In addition it has a collection of 515 back volumes of journals and magazines. A comfortably furnished air-conditioned reading room that provides conducive environment for its members. Apart from this, individual departments have their own specialized collection of books. We have a separate section for PG courses. The library has a special collection of books for the various examinations, which includes BEC, TOEFL, GRE, GATE (all Branches), and UPSC.